Last week the HR Law Insider warned businesses about the risk of large damage awards arising from the illegal enforcement of medical leave policies. Just yesterday, a large Tucson trucking company experienced that risk in real time — agreeing to pay $300,000 and furnish other relief to settle a disability discrimination lawsuit filed by EEOC. According to EEOC, trucking company CTI denied requests for unpaid leave beyond 12 weeks and transfers into open positions for which disabled employees were qualified. For example, the EEOC charged that CTI discriminated against Elizabeth Barr because of her disability. CTI employed Barr as a payroll and billing clerk from November 2002 until August 2010. Barr suffered from a rare eye disease that substantially limited her eyesight, and she needed multiple surgeries to correct her eyesight. Barr took leave under the Family Medical Leave Act (FMLA). Prior to the expiration of her FMLA leave, CTI wrote her a letter informing her that if her doctor did not release her to “full, unrestricted duty” by the time her FMLA leave expired, her employment and benefits might be terminated. Barr asked CTI for additional time to recover, but CTI denied her re­quests, refused to explore possible accommoda­tions, and terminated her on the day her FMLA leave expired. Such alleged conduct violates the ADA. Accordingly, the EEOC sued CTI. institute an evaluation system for supervisors and managers regarding their compliance with EEO laws. DOES YOUR MEDICAL LEAVE POLICY COMPLY WITH THE AMERICANS WITH DISABILITIES ACT? Employers often implement and enforce medical leave policies in a rigid manner that does not comply with the Americans with Disabilities Act (ADA). Such practices expose employers to claims of discrimination and to substantial damage awards. This HR Law Insider article presents a recent example of an employer that tried to enforce a medical leave policy only to learn — the hard way — that it was violating federal law. On Monday, the EEOC announced that healthcare provider Dialysis Clinic, Inc. agreed to pay $190,000 to a former employee with breast cancer and furnish other relief to settle a federal disability discrimination lawsuit filed by the EEOC. It was alleged that the dialysis clinic violated the ADA law by firing and then refusing to rehire a long-time nurse who needed more medical leave to complete her treatment for breast cancer. Francisca Lee had worked as a nurse at the Dialysis Clinic’s Sacramento Southgate location for 14 years when she took medical leave for mastectomy surgery and chemotherapy treatments. After four months, Dialysis Clinic notified Lee by mail that she was being terminated for exceeding the time limit dictated by its medical leave policy, the EEOC said. This was done despite Lee being on approved medical leave and cleared by her doctor to return to work without restrictions in less than two months. Lee was told that she would have to reapply for open positions. However, when Lee did apply two months later, she was rejected, and, not long after, Dialysis Clinic hired a newly licensed nurse. After an investigation by EEOC investigator Monica Colunga and after attempting to resolve the case through pre-litigation conciliation efforts, EEOC sued Dialysis Clinic. Terminating a qualified employee because of a disability violates the ADA. The law requires an employer to provide reasonable accommodation to an employee or job applicant with a disability, unless doing so would impose an undue hardship for the employer. Providing an extended medical leave can be a reasonable accommodation. According to the consent decree settling the suit, Dialysis Clinic agreed to pay $190,000 in damages; revise its policies concerning reasonable accommodation; provide anti-discrimination training to human resources personnel; and post notices regarding the lawsuit. In addition, the employer will periodically report to the EEOC on its handling of extended medical leave requests. If a requested accommodation poses an “undue burden” on the employer –if it is not objectively reasonable because it will pose too great a burden on the business — the employer is not required to provide that accommodation. Any time an employer refuses an accommodation on the basis that it would create an undue burden, it should know that its decision may be scrutinized by the EEOC and, ultimately, by a jury. PS October is breast cancer awareness month. Hopefully, through our collective efforts, this terrible disease will soon be eradicated. What does this mean in the real world? 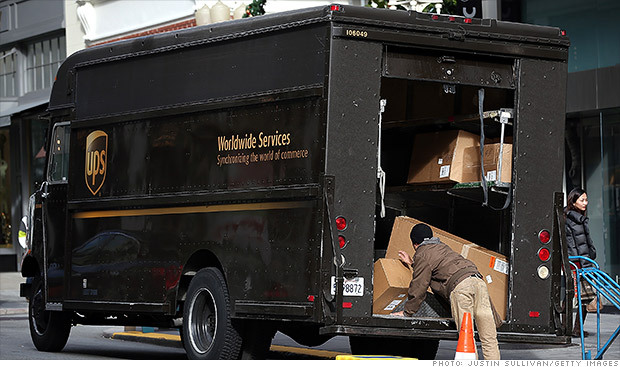 UPS recently found out when it was sued for sidelining a pregnant employee who could not lift the 70 pounds UPS requires of its drivers. The US Supreme Court’s Young v. UPS decision now gives businesses around the country clear guidance as to how the PDA will apply to them. Young sued UPS, claiming that it acted unlawfully in refusing to accommodate her pregnancy-related lifting restriction. Young presented several favorable facts that she believed she could prove. She pointed to UPS policies that accommodated workers who were injured on the job, had disabilities covered by the Americans with Disabilities Act of 1990 (ADA), or had lost Department of Transportation (DOT) certifications. Pursuant to these policies, Young contended, UPS had accommodated several individuals whose disabilities created work restrictions similar to hers. She argued that these policies showed that UPS discriminated against its pregnant employees because it had a light-duty-for-injury policy for numerous “other persons,” but not for pregnant workers. Any time a manager or owner considers whether or how to accommodate a pregnant employee, it should always ask: if I fail to provide a requested accommodation can it be argued that I have treated nonpregnant employees more favorably in the past? In other words, were accommodations made for nonpregnant employees that are not being offered to this pregnant employee? If the answer to these questions is yes, the employer is courting (so to speak) a pregnancy discrimination claim. The same analysis applies when deciding whether to discipline or terminate a pregnant employee. Disciplining or terminating a pregnant employee often draws the highest level of scrutiny, particularly when the employee has no prior record of discipline. Indeed, one out of every five Title VII lawsuits involves allegations of pregnancy discrimination. retaliating against employees – or those close to pregnant employees – who complained about pregnancy discrimination. Businesses should carefully consider their options — and risks — when confronted with potential pregnancy discrimination situations. Avoiding pregnancy discrimination claims is not difficult if one understands the law and undertakes the steps contemplated in the Young v. UPS decision. Art Bourque has guided businesses individuals on various aspects relating to pregnancy in the workplace. He has both defended and brought claims regarding pregnancy discrimination. Contact Mr. Bourque with any questions regarding pregnancy or other employment or human resource issues. In a long awaited ruling, federal judge Richard M. Berman overturned the NFL’s four game suspension of New England Patriots quarterback Tom Brady in the Deflategate case. The judge’s decision provides employers with key takeaways when dealing with employee misconduct. Before discussing those takeaways, here is the full decision. “The Court finds that Brady had no notice that he could receive a four-game suspension for general awareness of ball deflation by others or participation in any scheme to deflate footballs, and non-cooperation with the ensuing Investigation. Brady also had no notice that his discipline would be the equivalent of the discipline imposed upon a player who used performance enhancing drugs. First, the judge agreed with Brady’s contention that: “Commissioner Goodell’s denial of the testimony of Jeff Pash at the arbitral hearing was fundamentally unfair because (1) the NFL publically declared that NFL Executive Vice President and General Counsel Jeff Pash was the co-lead investigator on the Wells-Pash Investigation, and (2) Pash was allowed to review a draft of the Wells Report and to provide Paul, Weiss with written comments or edits prior to the Report’s release the public. 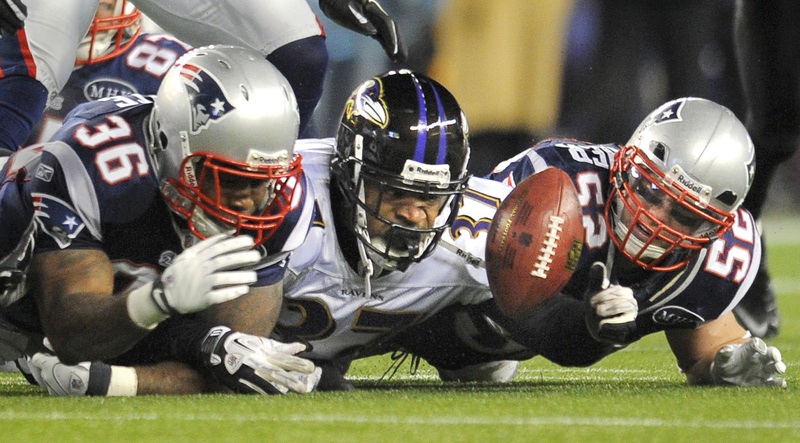 In sum, the NFL’s two fatal errors were (1) failing to warn players that deflating footballs or similar conduct could result in a suspension and (2) unfairly denying Brady the right to obtain investigatory documents and to confront a witness to the investigation which led to his suspension. First, employers should have extremely broad language in employee handbooks that encompass a wide range of misconduct that can lead to discipline up to and including discharge. While “deflating footballs” is not likely to be included as a dischargeable offense in your company’s employee handbook, management should annually review the handbook to ensure it is appropriately broad and complies with the law (some handbooks go too far and state policies which, if followed, are illegal). Second, if you elect to engage in arbitration to resolve disputes — I am generally not a fan of arbitration — then the arbitration process must be fair to all parties. Judges rarely overturn arbitration decisions, but when they do, procedural unfairness is a common basis for the decision. Third, I believe the judge could have found for the NFL as easily as he found against it. I am not suggesting Judge Berman was improperly biased. However, aspects of his ruling are troubling, including the notion that a player should not know he may be suspended for (a) engaging in a conspiracy to cheat and then (b) covering up that conspiracy by refusing to cooperate with an investigation. The lesson: any time a company or organization — in this case one of the largest and most profitable organizations on earth — places its fate in the hands of a judge or other third party, control is lost; and the resulting decision often depends more on who is deciding the case than the actual facts of the case (e.g. the OJ Simpson case). Fourth, choose your legal counsel wisely. It is reported that the NFL paid “neutral” investigator Ted Wells over a million dollars for a report which had more holes in it than Swiss cheese. The NFL, presumably advised by other high paid lawyers, made a number of other tactical mistakes. If you cannot avoid a dispute, select legal counsel based on proven experience AND a targeted and thoughtful interview and selection process that is not affected by the size of your lawyer’s cufflinks, firm letterhead, or ego. The Super Bowl champion Patriots are back in business: the NFL season starts next week and quarterback Tom Brady is back at the controls.